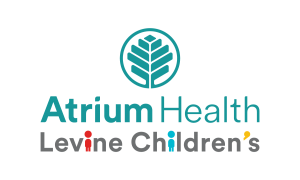 CSP Team Note: We recently spoke with Dr. Rhonda Patt, a pediatrician with Atrium Health Levine Children’s Charlotte Pediatric Clinic, about teens and anxiety. We recognize that this is a HUGE topic that affects many. Dr. Patt will be back with us for a couple more posts on anxiety and stress as it relates to kids and teens. We appreciate her time and expertise on this important subject. What are some signs that your teen is anxious? Some of the signs of anxiety may be obvious – such as saying he or she feels nervous or anxious, being fearful of new situations, appearing “edgy,” and having difficulty with sleep or nightmares. However, many times signs of anxiety can be a little more obscure and may mimic other problems. For example, a teen may have difficulty concentrating because of preoccupation with fears and even start avoiding school. A parent may mistake this for ADHD (attention-deficit/hyperactivity disorder). Sometimes anxiety presents as irritability and moodiness, leading a parent to believe that it is all a part of teenage defiance. Anxiety can also cause physical complaints such as stomachaches, nausea, headaches, and chest pain. As anxiety progresses, a child or teen may start being more ritualistic or having checking behavior – such as frequent handwashing, extreme organization, and being very controlling – and is at risk of self-harm such as cutting. Are you seeing more signs of anxiety among teens today? Anxiety is common among teens. According to the National Institute of Health, approximately 25% of teens have an anxiety disorder. In April 2018, The Journal of Developmental and Behavioral Pediatrics published a study that demonstrated a 20% increase in anxiety disorder in children ages 6 to 17 between 2007 and 2012. So there is evidence that it is on the rise. As pediatricians, we are definitely seeing more anxiety and depression in our offices. How do the displays of perfectionism on social media fuel teen anxiety? Social media can be both good and bad when it comes to anxiety. In some ways, teens get reassurance from peers through social media. On the flip side, social media carries with it many risks. Teens can be ridiculed or bullied on a much larger scale on social media than was possible in the pre-social media days. Also, social media can provide a constant feeling of inadequacy because of the facade of perfection that can be displayed by peers. They may judge themselves because they do not feel as happy as their friends look in the photos that are posted – not realizing that most teens are feeling exactly the same way. What are some typical types of anxiety most often found in teens? The most common types of anxiety disorders in teens include generalized anxiety disorder, panic disorder, phobias, and social anxiety. What is the difference between normal teen anxiety and an actual anxiety disorder? It is important to remember that fear is normal. It is completely normal to worry before a big test or the first day of school. With anxiety, a person is always fearful and anxious when most people would not be. One of the hardest things as a parent is to figure out when normal anxiousness has crossed over to become a bigger problem. There is not a hard and fast rule because some kids are generally a little more anxious than others – so what is normal for one child may not be normal for another. As a general guideline, it is important to seek professional help when anxiety impacts academic success, peer relationships, sports, mood, or other daily activities. Is anxiety more common in one gender? Anxiety is more common in girls than in boys. Boys are less likely to describe themselves as feeling anxious which may make anxiety harder to identify. High school is so competitive now – much more so than when we were in high school. How can parents teach their child to put it all in perspective? This is a hard balance for a parent. On one hand, you want to make sure your child is taking his or her academics seriously. On the other hand, you really want your child to enjoy school and the teenage years. The advice for one child may be different than for another child. With my own children, I have two that need a little coaxing and mom pressure on occasion but one that needs to be told to take a break every now and then. With kids who are Type A+ academic overachievers, no amount of reassurance from a parent is going to get them to close the book and go to bed before they feel well-prepared for a test. These children are in search of 100% on their report cards. So as a parent, there are some strategies that can be helpful. First, be aware of your teen’s weekly schedule. Look ahead at the week and help your teen with time management. If she has a late sports practice the night before a project is due, point this out and help her figure out when she should complete the project. Procrastination and tight deadlines will fuel anxiety. As a parent, we should not try and solve our kids’ problems but teach our children how to problem-solve because these same deadlines and mounds of work will likely follow them to college and the workforce. Exam time is especially stressful. What are some tips for calming exam jitters – whether it be midterms, finals, SATs, or ACTs? Preparedness is the most important part. The more that a child feels that she has mastered a subject, the less nervous they will be when taking the test. Taking a practice test can help. For example, for a map test, sit down with a blank map and fill it out. If a child has true test-taking anxiety, then seeing a school psychologist for strategies may help. What are some ways parents can help teens through the stress of finding the right college? In my opinion, it is important to encourage teens to keep an open mind about colleges. Apply to a couple of schools that are on the “safe” list – that you are most likely to be accepted – and also apply to some that may be more of a reach. Try to not have your heart set on only one specific school because you just never know. Every year, I see teens who are equally competitive academically be accepted or denied to different schools. It seems there is no way to predict the outcome and is not a reflection of a child’s worth. Parents should avoid voicing their own fears and concerns in the matter as well. Also, parents may not realize it, but by making statements such as, “I saw on Facebook that Lauren was accepted to Carolina,” we are adding to their stress. By praising someone else’s accomplishment when your own child is still in limbo can be perceived as criticism. When should your anxious teen see a professional? If anxiety is negatively impacted your teenager’s life in any way, then it is important seek professional guidance because sometimes a teen is masking the true severity of his or her anxiety. At Charlotte Pediatric Clinic, we perform a brief screening for anxiety and depression at all checkups beginning at age 7 years with the goal of recognizing symptoms sooner and provide support recommendations when symptoms are less severe. Typically, if anxiety is diagnosed early, the first step would be a referral to a therapist or psychologist to work on strategies for managing anxiety. Next steps would include a more specific type of therapy called cognitive behavioral therapy and medication. The most common medications that are prescribed are called SSRIs (selective serotonin reuptake inhibitors) and require very close monitoring for side effects. Parents should anticipate weekly then bi-weekly then monthly visits while a child is taking an SSRI. What are some good local resources (programs and practices) for teens and anxiety? 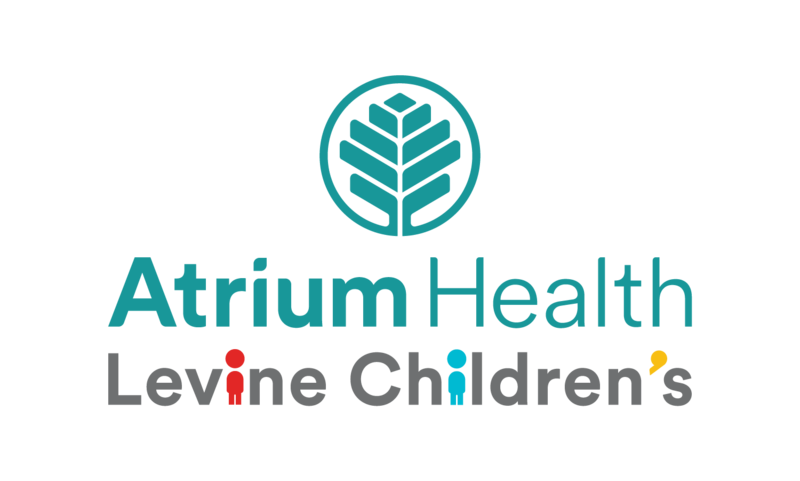 Atrium Health’s Teen Health Connection is a great local resource for teens with anxiety. 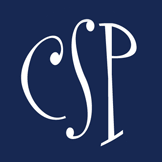 There are many excellent private practice options in the Charlotte area for counseling and therapy. How do we as parents show emotional support for our teens, even though sometimes we can’t relate? I advise parents to try and remember what it was like to be a teen. We have all been there – although it was long ago. They fluctuate between pushing parents away and needing them more than ever. Timing is really everything. Try to read their emotional cues and look for the right window of opportunity to enter. Remember to have casual conversations when they get home from school rather than hounding them with questions. The school day is intense so they likely need some downtime before hitting the books. Encourage extracurricular activities. Busying their minds and bodies with something other than school and technology is very helpful for reducing anxiety. Whether their passion is art, sports, hiking and nature, walking the dog, or music, taking the time for this is therapeutic. An Australian study* showed that teens who lived in the country and had their free time filled with outdoor chores – such as feeding animals, gardening, or chopping wood – were less anxious than their city-dwelling counterparts. Unplug – have some electronic-free quiet time and practice mindfulness. Avoid projecting your own fears onto your child. For example, if your child wants to try out for a play or musical, do not make statements such as, “Are you worried that you may not make it?” In fact, children should be encouraged to try new things, and they develop resilience with each “failure” along the way. Finally, it is important to recognize that anxiety often runs in families. If a parent is suffering with anxiety, treatment of the parent’s anxiety is a key component in the child’s treatment plan. *J Genet Psychol. 2000 Dec;161(4):479-92. Prevalence of anxiety and depression in Australian adolescents: comparisons with worldwide data.